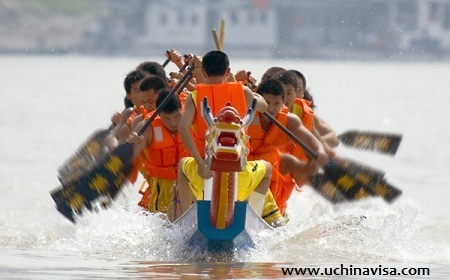 The Chinese Dragon Boat Festival occurs on the fifth day of the fifth lunar month. Like any traditional Chinese festival or holiday, the Dragon Boat Festival is celebrated according to the Chinese lunar calendar, not the Gregorian calendar. 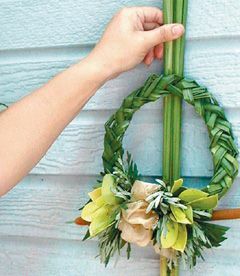 Here are some Dragon Boat Festival traditions besides dragon boat racing: eating zongzi and hanging talismans and charms. Zongzi, or Tzungtzu in Cantonese, is the traditional food for the Chinese Dragon Boat Festival. It is made of glutinous rice with various fillings, shaped like a pyramid and wrapped in wide bamboo leaves. Zongzi fillings can be whatever you like, such as egg, beans, dates, fruits, sweet potatoes, walnuts, mushrooms, meat, or a combination of them. You can make sweet and plain ones too. They are generally steamed or boiled. Zongzi fillings can be whatever you like, such as egg, beans, dates, fruits, sweet potatoes, walnuts, mushrooms, meat, or a combination of them. 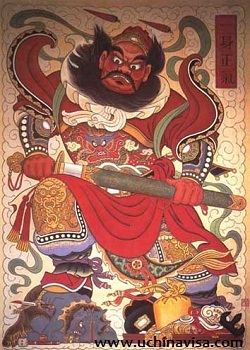 Because the Double Fifth Day is at the beginning of summer when diseases are likely to strike, Chinese people like to use some talismans to fend off evil spirits and bad luck, such as hanging healthy herbs on the front door or putting the picture of Zhong Kui, a nemesis of the evil spirits, on the door of their homes. This is also a day to drink a special wine called Xiong Huang (Xionghuang), which is believed to have the properties to make the evil spirits go away in fear. In the legendary White Snake story, the loving and beautiful White Snake was forced to appear as herself--a snake--due to her consumption of the Xiong Huang wine. Children in some areas carry fragrant silk pouches that are filled with special herbs to prevent evil during the Chinese Dragon Boat Festival. In some areas, people try to get a raw egg to stand on its end at exactly 12:00 noon so that the following year would be a pretty lucky one for him (her). How this came to be is not clear. Some people do it for luck, others for fun.